No images of Approved Solar Installations. Approved Solar is an Australian-owned company that is committed to helping people all over the country reduce their bills and improve their energy efficiency. 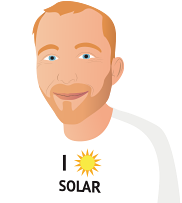 All members of the Approved Solar team are required to follow the highest possible standards of quality. The company assures customers that every effort will be made to provide a hassle-free and enjoyable service - all information is given prior to installation to ensure clients' peace of mind. All solar power systems from Approved Solar come with a ten-year parts and labour warranty. Only Australian designed panels are used, as they come with approved warranties that will be honoured within the country.